It was not immediately clear whether the other accused -- who were not named -- still work at VW or have since left the company. Winterkorn has been singled out for his role as a "guarantor" to authorities and customers that the group was not selling cheating vehicles "even after he knew about the illegal manipulations" -- knowledge the prosecutors said he had "from May 25, 2014." That date was more than a year before VW publicly admitted to fitting 11 million vehicles with software to make them appear less polluting in the lab than in real driving conditions. 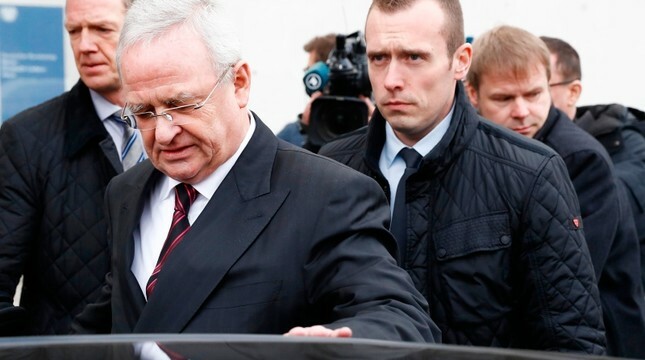 As well as failing to inform authorities of the cheating, VW "with the knowledge and approval of Winterkorn" issued a software update in November 2014 whose only purpose was to cover up the so-called "defeat devices" that enabled the cheating, said the statement. VW shares were little moved by the charges, gaining 0.4% to trade at 154 euros around 1:15 p.m. in Frankfurt (1115 GMT), slightly outperforming the DAX blue-chip index. The Wolfsburg-based group has so far suffered costs of 29 billion euros ($32.8 billion) related to dieselgate, much of it in fines, compensation and buyback schemes in the United States. In Germany, the group has paid 1.8 billion euros spread over two fines. Aftershocks from the scandal have been serious enough to change the gigantic firm's course, with bosses now making a massive bet on electrification over the next decade. But the legacy of dieselgate is still clinging to VW, with hundreds of thousands of customers in Germany bringing cases demanding compensation for their manipulated vehicles. And investors have opened two court cases against VW and its holding company Porsche SE, saying bosses should have informed markets sooner about the likely financial impact of the cheating.